Arsene Wenger surprised no one when he claimed that the Capital One Cup was not a priority for Arsenal ahead of the Gunners’ Fourth Round tie versus Reading. Under the Frenchman’s stewardship, Arsenal have fielded youthful sides in the League Cup, using it as a vehicle for promising players at the club to get some competitive experience under their belts. Manchester United’s inexperienced defence eventually cost them a place in the quarter-final against Chelsea on Wednesday but the Gunners have been the most effective at utilising young squad players in the competition over the past decade – Last 8 places secured in each of the last 10 seasons evidence of this. All at once, the League Cup has earned the least of Wenger’s respect for club competitions and showcased the impressive young talent the club seems to effortlessly churn out. Such consistency in the League Cup has been lit up by some fantastic performances over the past decade and Arsenal have been one of the star turns in the competition in this time. However, the past nine quarter-final dates have yielded four defeats, three semi-final exits and two losing appearances in the final. The League Cup can often be maligned but Arsene’s young starlets always fascinate and other clubs have attempted to blood their own protégées without as much success. In this way, Wenger’s approach to the competition, seen as blasé when taken at face value, has been almost pioneering and the supply line of new faces have, in true Arsenal style, entertained on this stage. Even their defeats in the latter stages of the League Cup have proven riveting affairs and a trawl through their performances in the competition throws up some classic fixtures, lots of unfulfilled promise and several gems who first showed their promise for what has effectively been Arsenal’s 2nd XI. While Thierry Henry, Patrick Vieira, Robert Pires and co. went about destroying all before them en route to an unforgettable unbeaten season in the league in 2003-04, Arsenal’s 3rd Round League Cup tie versus Division One side, Rotherham United, went all the way to the wire before the Gunners triumphed 9-8 on penalties. The game was most notable for Cesc Fàbregas making his Arsenal debut to become the youngest player to represent the club at the age of 16 years and 177 days. Graham Stack, the current Barnet goalkeeper after journeying through the lower divisions, was the hero for Arsenal on the night after a highly-rated Jérémie Aliadière had seen his early goal cancelled out by Darren Byfield in the 89th minute. Fàbregas may have had a quiet debut but his next appearance in the competition ended with the Spaniard becoming Arsenal’s youngest player to score in the first-team (and hilariously was referred to as Fabrice Fabregas in this clip of the game). Aliadière scored a brace and Sylvain Wiltord and Nwankwo Kanu, being kept out of the first XI by Henry and Dennis Bergkamp, notched a goal each before Fàbregas’ tap-in against Wolverhampton Wanderers secured Arsenal a 5-1 victory at Highbury to reach the quarter-final of the League Cup (or Carling Cup as it was then known). Goals from Kanu and the impressively-prolific Aliadière contributed to a 2-0 win against Division One leaders West Brom to set up a two-legged semi-final versus Middlesbrough. The BBC report of the first-leg (referring to Stack as ‘Branch’ my pedantic eye notes) mentions David Bentley (‘the 19-year-old produced a cheeky lob’) in his early Arsenal days and another debut is recalled – though without the gravitas of Fàbregas’ first Gunners appearance – with Quincy Owusu-Abeyie getting the press this time. The game, at Highbury, resulted in a 1-0 loss for the young guns and a sign of the perils of naming a youthful team in pursuit of silverware. Wenger responded by bringing in Vieira and Ashley Cole to play in a more evenly-mixed team of experience and youth but their presence, alongside the younger squad members who had kept their places such as Stack and Bentley, was unable to turn the tide and, £10.5 million recruit, José Antonio Reyes scored an own-goal on his full debut as Arsenal lost 2-1 on the night. Steve McClaren’s progressive Middlesbrough side went on to win the Carling Cup against Bolton Wanderers at the Millennium Stadium and the English football public had seen the first signs of Wenger’s reliance on youth in the tournament that would become a staple of the competition in years to come. Arsenal were brought back down to earth in the 2004-05 Premier League season when their 49-game unbeaten sequence came to an end and Jose Mourinho’s Chelsea outfit knocked the Gunners off top spot to claim a first league title for 50 years. The 2004-05 League Cup campaign wasn’t to reach the heights of last season either but the Third Round tie away at Manchester City brought another debut for future Arsenal legend, and chief tormentor for Manchester United against his former employer on Saturday, Robin van Persie. Van Persie marked his Arsenal debut with a goal at the City of Manchester Stadium. 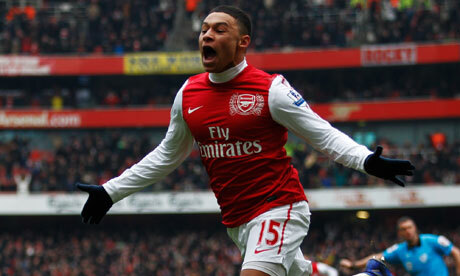 The Gunners won 2-1, the second goal courtesy of another debutant in the shape of Daniel Karbassiyoon. Who, you might say? Well, whilst van Persie went on to cement himself as one of the best strikers in the game, Karbassiyoon endured a torrid time after announcing himself in Manchester. 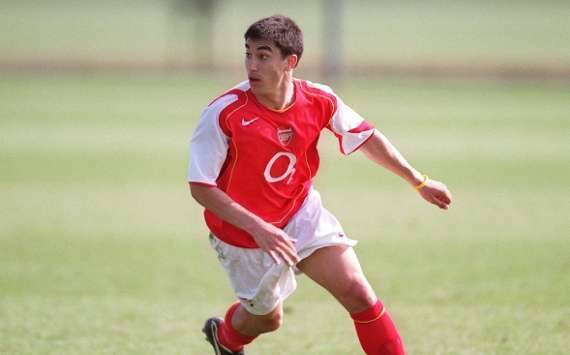 The Iranian-American footballer played only 3 times for Arsenal – all in the 2004-05 League Cup – and had a short loan spell at Ipswich Town before Burnley snapped him up and a succession of injuries put pay to his time in Lancashire. Sadly, Karbassiyoon retired at the age of 22 in 2007 due to an injured knee and the story just goes to show that, for every tale of success like van Persie’s there’s a Karbassiyoon, robbed of a career in the game. Yet Arsenal continued their proud tradition of looking after their own; in 2007, Karbassiyoon was employed by the club as a scout based in North America. He remains the first and only American to play and score for the Arsenal first team. The Fourth Round was the stage for Owusu-Abeyie to make some headway as he scored his first Arsenal goal against Everton. 17-year-old Arturo Lupoli then upstaged his team-mate by scoring his first two goals for the club in a 3-1 success. A tricky trip to Old Trafford was Arsenal’s reward and Wenger kept his faith in the young players who had got to the quarter-final. A 19th second strike from David Bellion was enough to bring Arsenal’s League Cup exploits to an end. Arsenal made it through to the semi-finals again in the 2005-06 season, dispatching Sunderland, Reading and Doncaster Rovers before finally succumbing to Paul Jewell’s impressive Wigan Athletic outfit. Two goals from van Persie and a pile-driver from Emmanuel Eboue took care of Sunderland at the Stadium of Light and former Gunners keeper, Stack, let in three at Highbury without reply as van Persie, Reyes and Lupoli sent Arsenal through to another quarter-final. The game at Belle Vue was one of the modern-day League Cup classics as Doncaster led twice only for Owusu-Abeyie and Gilberto, in extra-time, to bring Arsenal level. Gilberto’s scored penalty ensured Arsenal progressed 3-1 on penalties. A debut Paul Scharner goal gave Premier League new boys, Wigan, a 1-0 home win in the first-leg of the semi-finals. Like in 2003-04, Wenger tried to turn around the advantage in the second-leg by bringing in some of the more senior players and Henry, Bergkamp and Sol Campbell were all on show as Wigan held on until extra-time after Henry had put Arsenal 1-0 to bring the aggregate score to 1-1. Wenger’s approach seemed to have worked when van Persie struck a free-kick in with 12 minutes to go but Jason Roberts scored with seconds remaining to stop Arsenal making the final again. The youthfulness of the Arsenal team was supplemented by the experience of Julio Baptista in attack and the Brazilian striker affectionately nicknamed ‘The Beast’ grabbed four goals in a 6-3 demolition job at Anfield. Aliadière began the goal-fest as a Liverpool team including Sami Hyypia, Steven Gerrard and Craig Bellamy crumbled in front of a disbelieving crowd of 42,614. Baptista was simply immense (with his performance perhaps being studied by Andrey Arshavin) and the convincing display and result engineered a two-legged tie with Arsenal’s most fierce of rivals. In the first-leg against Tottenham Hotspur at White Hart Lane, Baptista was in the thick of it once again as his own-goal gifted Spurs a second after taking the lead through Dimitar Berbatov. 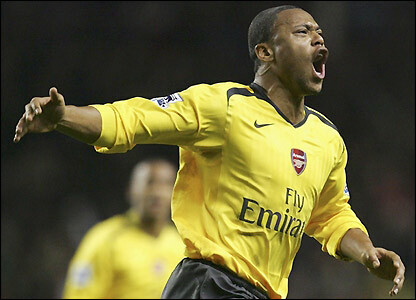 In the second-half, Arsenal recovered from 2-0 down to draw 2-2 thanks to two goals from Baptista. Perfectly balanced for the second-leg, Adebayor’s late strike was snuffed out by Mido’s equaliser and extra-time beckoned. Another of Arsenal’s League Cup heroes, Aliadière, scored the decisive goal and a Pascal Chimbonda own-goal added gloss to a satisfying route to the final. Only in Cardiff did Arsenal’s second XI go down after Wenger bravely stuck with a team with an average age of under 21 facing a stern test in the final versus Chelsea. Walcott’s goal after 12 minutes made the daring feat of winning with ‘kids’ seem possible but Didier Drogba’s inevitable brace brought the curtain down on Arsenal’s most enthralling League Cup campaign to date. The only consolation from the day was the sight of Abou Diaby kicking John Terry squarely in the face which was brought to television screens in stunning, slow-motion high-definition and was replayed numerous times across the land as the controversial Chelsea captain fell motionlessly to the pitch like a salmon but later recovered to annoy the football-watching public for years to come. The stirring nature of the 2006-07 run to the League Cup Final would be hard to replicate but by the semi-final stage of 2007-08 Arsenal were drawn to face Tottenham Hotspur again and if anything, the games between the North London clubs were even more compelling. In getting there, Arsenal had beaten Newcastle United thanks to goals from Nicklas Bendtner and Denilson in the Third Round, cruised to a 3-0 win over Sheffield United that had seen Kieran Gibbs, as an 18-year-old, make his debut and Eduardo score two cracking goals in the Fourth Round and overcome Blackburn Rovers in extra-time in the quarter final – Eduardo again making the difference. What is apparent in all reports from Arsenal’s exploits in the Carling Cup from 2006-2008 is the growing fascination with the average age of the Gunners’ team with the figure usually slightly above or below 21. Beating Tottenham in the semi-final again was always going to be a big ask and the youngsters grabbed a late equaliser at the Emirates Stadium to make it 1-1 ahead of the daunting second game at White Hart Lane. As with last season’s game at the home of Spurs, Tottenham took an early lead but this time Arsenal were unable to recover as they went on to suffer a heavy defeat in a Lilywhites masterclass of football. Classic games in the League Cup come around once or twice a year and the way in which Tottenham sauntered into the final was terrific to watch as they exposed Arsenal’s youthful naivety with aplomb, eventually winning 5-1. The game made for a video nasty for Gunners fans and a particular low point in the competition over the past decade, if not the most disappointing defeat in that time. There were no half-measures in Arsenal’s 2008-09 Carling Cup campaign as stunning wins against Sheffield United and Wigan Athletic at the Emirates were put into context by a 2-0 defeat in dreary Lancashire to a tenacious Burnley side. For the Third Round game against the Blades, the average age of Arsenal’s team had dropped to 19 and a player of that age, Carlos Vela scored a terrific hat-trick on the night. By then, the Gunners had a new youngest player to play for the club in the league by the name of Jack Wilshere and the-then 16-year-old scored one and Bendtner grabbed a brace. 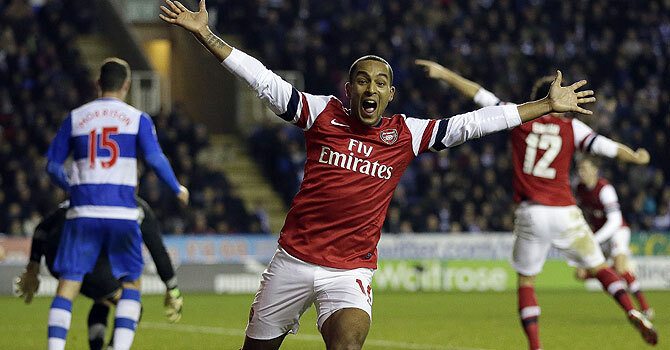 Wilshere won rave reviews in his next outing against Wigan as Jay Simpson scored his first two goals for the club. Vela added a third to keep up his impressive record in the cup. Against Burnley, in the quarter final at Turf Moor, however, Arsenal came a cropper. An exciting game turned in Burnley’s favour, under the watchful eye of Owen Coyle, who had masterminded Chelsea’s exit from the competition in the previous round. A debut was handed to 19-year-old, Paul Rodgers, but like Arsenal’s all-round performance it was forgettable and he was hauled off at half-time. Rodgers, at 23 now, is unattached after being released by Newport County and only the most knowledgeable of Arsenal fans would recognise the name. Arsenal’s youngsters were outplayed at the quarter-final stage in 2009-10 too after promising beginning again. There was a first senior goal for Sanchez Watt as Arsenal beat West Brom at home 2-0 (the highly-rated Vela with the other) and Craig Eastmond made his debut at the Emirates in the Fourth Round win over Liverpool. Bendtner scored the winner to bring about a second away Lancashire quarter-final in two years. Manchester City were not to be defeated and routed the Gunners 3-0. Wenger brought on Watt and Eastmond as a last throw of the dice at the City of Manchester Stadium, and now the two Arsenal graduates find themselves on loan at Colchester United. 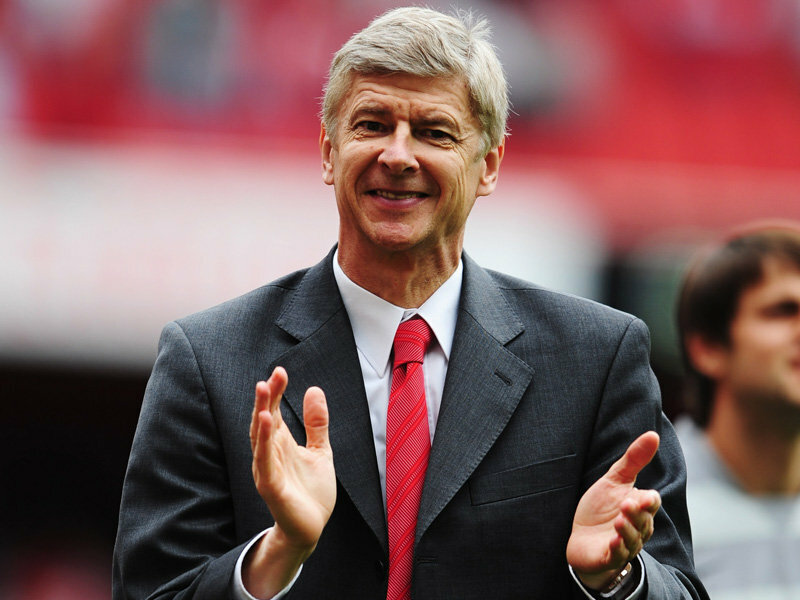 Wenger took a more pragmatic approach to the 2010-11 Carling Cup and his side ended up making the final for the second time in five years. The North London derby versus Tottenham made an appearance in the Third Round with Arsenal destroying Spurs in extra-time following a 1-1 score-line after 90 minutes. Two penalties by Samir Nasri and a goal from Arshavin made it 4-1 after 120 minutes after Henri Lansbury’s opener had been cancelled out by Robbie Keane in normal time. Arsenal visited Newcastle in the Fourth Round and notched up a further four goals on the road, this time all in normal time with two from Walcott, one from Bendtner and an own goal from Tim Krul going unanswered against the Magpies. 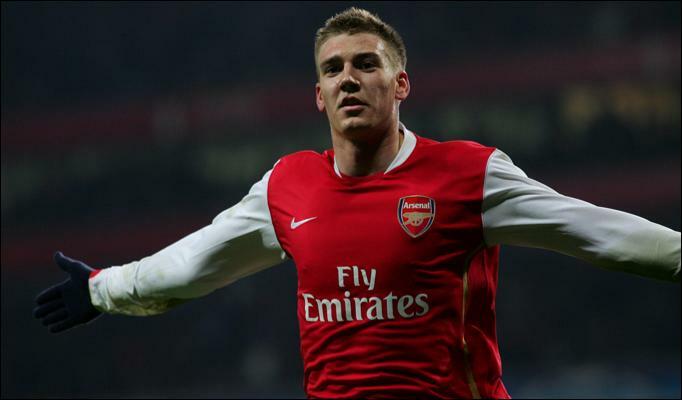 Wigan Athletic were once again disposed of, this time in the quarter-final, when an own goal and close-range finish from Bendtner were enough for the Gunners to win 2-0 at the Emirates. Arsenal’s were rewarded with a seemingly easy two-legged tie against Championship strugglers, Ipswich Town, but a 1-0 win at Portman Road for The Tractor Boys turned this assumption on its head as the Gunners were made to labour for a sufficient victory in the second-leg. Ipswich were resolute for an hour but three goals from Bendtner, Laurent Koscielny and Fàbregas settled matters as Arsenal headed to their first major final at the new Wembley. The opponents, Birmingham City, seemed a softer touch than the dominant Chelsea that Arsenal faced in the 2006-07 competition with the Blues meandering aimlessly in the Premier League. A van Persie goal levelled the score after Nikola Zigic had put Birmingham 1-0 up. Arsenal pounded Ben Foster’s goal but the Birmingham goalkeeper produced an incredible performance to keep the Gunners out. It appeared to be going into extra-time when a mix-up between Wojciech Szczesny and Koscielny presented Obafemi Martins with the easiest of tap-ins to bring the trophy to the Midlands with seconds of the 90 minutes remaining. Arsenal’s ‘curse’ in the League Cup seemed to be continuing as a barren several years without a trophy was extended for the Gunners. If Tottenham’s 5-1 League Cup win over Arsenal was the most embarrassing for Wenger’s men then Birmingham’s unexpected triumph would have to be ranked as the most disappointing with an elusive trophy carelessly released from their grasp. Manchester City stood in Arsenal’s way in the quarter-final for the second time in three years as the Gunners reverted back to a youthful line-up for the following season’s League Cup. First Arsenal goals from Gibbs, Yossi Benayoun and Alex Oxlade-Chamberlain were recorded in the Third Round win versus Shrewsbury Town and the Gunners then won 2-1 against Bolton Wanderers to book a home quarter-final against the wealthy champions-to-be. A team including ex-Arsenal midfielder, Nasri, secured a comfortable 1-0 win at the Emirates to consign the youthful pride of North London to an exit from the cup. Fast-forward to now and last week’s phenomenal victory from an Arsenal team ploughed with youthful abandon at Reading has put Arsenal into the frame for the League Cup trophy again. The quarter-final draw was one of the best from recent years with Paul Lambert returning to Norwich City with his new charges at Aston Villa, Swansea City in with a realistic chance of making a first major cup final at home to Middlesbrough and Chelsea renewing their hostile rivalry with Leeds United at Elland Road. The cup’s lowest-ranked remaining club, Bradford City, host Arsenal. Chelsea look like Arsenal’s main competition for the prize and both sides will have to win tricky ties in West Yorkshire to make the semi-finals, but, for the Gunners, the opportunity to end the trophy drought that has blighted all the promising displays over the last 7 years, and reward the North London club for unrivalled consistency in the League Cup over the past decade, is tantalising. Arsene Wenger may not have a better chance to win a trophy all season and, as recent history teaches us, it will be worth watching Arsenal’s efforts to make Wembley as they aim to ditch the tag of ‘nearly men’ in a competition that produces wonderful football and is well-worth winning. This entry was posted in History and tagged alex oxlade-chamberlain, andrey arshavin, arsenal, arsene wenger, carlos vela, cesc fabregas, chelsea, craig eastmond, david bentley, didier drogba, jack wilshere, jeremie aliadiere, john terry, jose mourinho, julio baptista, kieran gibbs, league cup, liverpool, manchester united, nicklas bendtner, owen coyle, robin van persie, samir nasri, sanchez watt, steve mcclaren, steven gerrard, theo walcott, thierry henry, tottenham hotspur by Andrew Belt. Bookmark the permalink.